Back ... 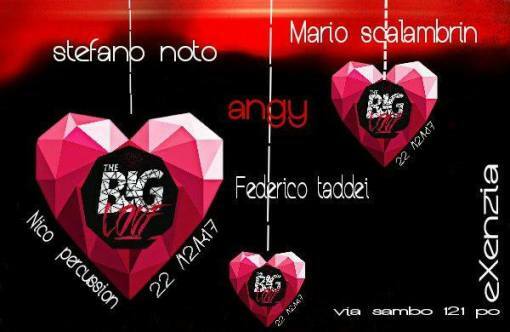 THE BIG ... LOVE an evening dedicated to good music and show a uniform crossing x the passion of music and entertainment in a single theme that involves love both the genre house music and the passion x the show . from a vocal set to a live instrumental where everything blends with the themes of setting up the evening very LOVE. ARTISTS MUSICIANS AND DJ ONLY IN A CONTEXT CALLED LOVE X MUSIC. THE SHOW STARTS AT 00.20 TO FOLLOW DJ SETS AND MUSICIANS EVERYTHING AROUND TO YOU ... ENTRANCE MAN IN LIST € 13 WITH DRINK INCLUDED .DONNA 10 WITH DRINK INCLUDED ..INFO LISTS AND TABLES 328/1224146 FABRY.